Beginning as a simple hobby for its pioneer, Frostings by Judy is now a jewel of Ajax. The new shop-front and revamped website are sleek, stylish and energetic. Judy's passion for her craft shines through in the decorative precision of her works. The latest trend this season and a Frosting by Judy specialty, has been matching cake design to dress patterns and linen colours. This requires consultation between Wedding Planner and Cake Designer but is well worth consideration. Although we won't provide pictures here, if you're planning a racy bachelorette soiree for the bride-to-be take a peak at the "Adults Only" cake selection :-) But perhaps leave the custom photograph at home where it belongs. Petals N Blooms has been in business for over 10 years. 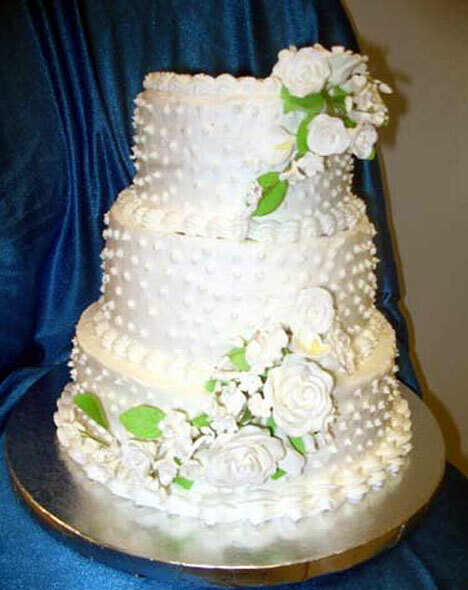 They specialise in providing cake seekers customized service that meets the highest quality assurances. Their store, located in Markham, serves as a one stop shop for a huge variety of wedding services. If you're hoping to get everything done at one place, this is definitely it. 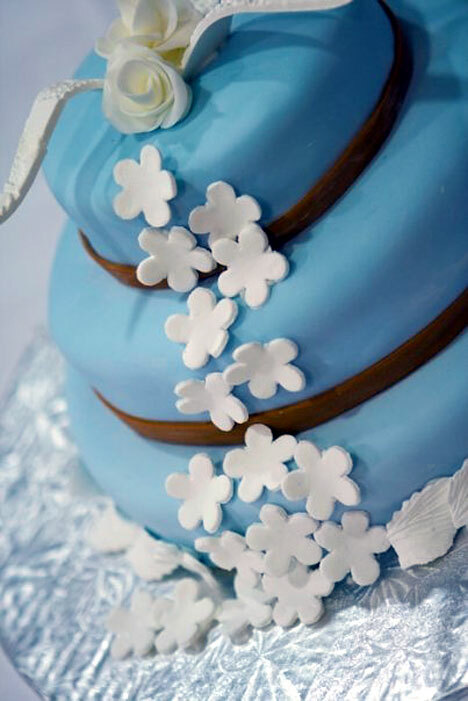 Their cakes are exquisite, delicate and beyond eye-catching. But you also have the option here to work with their certified wedding planner and photographers. Not only that, they'll also deliver anywhere in the Toronto area, making them one of the most widely sourced and sought businesses in town. One of the few places to advertise their regular tasting events, Flour Confections is all about flavour. Once or twice a month during the fall, Lisa's team comes in on Sundays to let potential clients sample the dazzling array of sugary delights they labour over through the week. Limoncello and Calypso Coconut are among the best, but taste is just a sweetener. 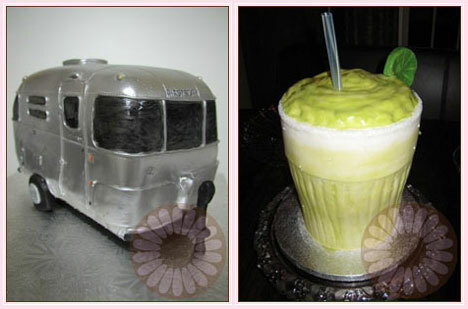 Atop these scrumptious sculptures can sit anything from VW Bugs to Banana-Clad Chimps. 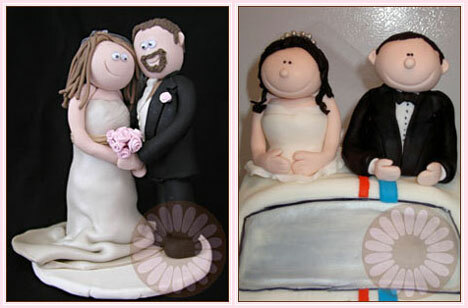 Flour Confections' custom cake toppers are notably worthy of Lisa's long held position in the Canadian Society of Sugar Artistry. Better still, stay for a 1 hour appointment and you'll even receive a complimentary box of Flour Confections Cake Flight. Four of the most popular flavours all boxed up as a take home treat. For their 25th Wedding Anniversary, mortgage securitization specialist Patricia Drewnoska was determined to make her parents an amazing "wedding" cake. The project led her to the Bonnie Gordon School in Toronto where her considerable artistic talent was cultivated. Her parents were thrilled. 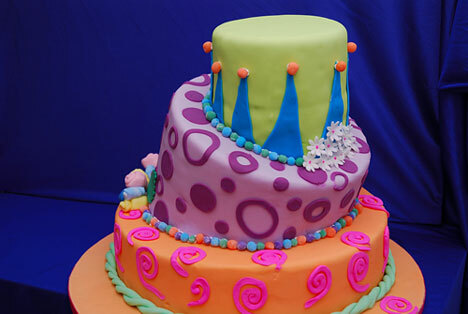 Since that day, Patricia's Cake Creations has gone on to develop a reputation for professional experimentation and innovation in cake design. The intersection of art and architecture. "If you can dream it we can make it." Bringing fun and fantasy to cake design, Lora of My Pink Apron can create anything from radiant modern designs to novelty face cakes. Lora has been decorating and teaching for over ten years, even training in Rome. 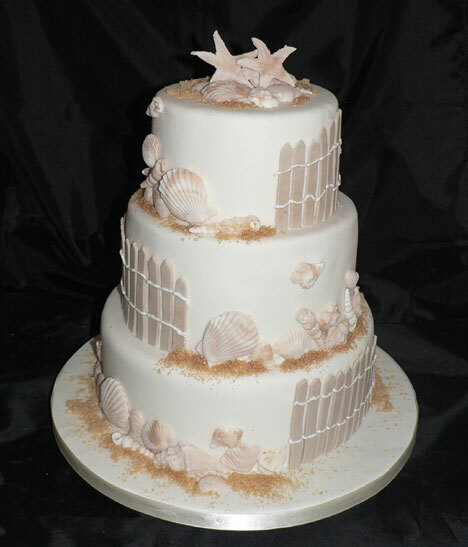 An active member of the Canadian Society of Sugar Artistry, her cakes have received awards both in Canada and in the USA. For the bride with a sense of humor and a knack for the wacky and wonderful, My Pink Apron suits the mold. Lora can even involve the family in the process by using the kids in her baking team. Truly a fun family affair. An internationally renowned wedding cake designer with a reputation for setting new trends, Bonnie Gordon began teaching small private classes four years ago. 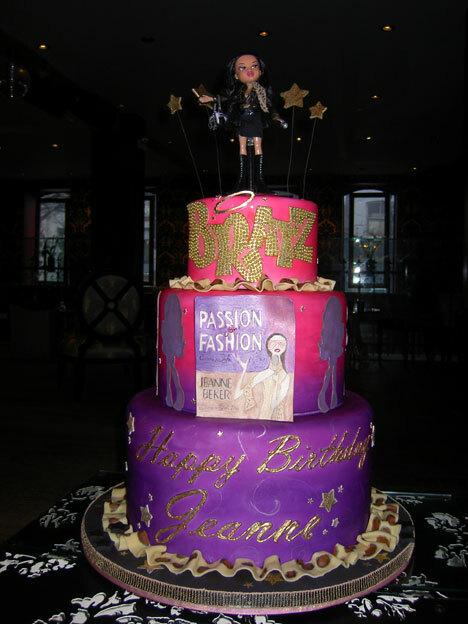 In 2008 she retired from designing cakes and opened the Bonnie Gordon School in order to mentor and train the next generation of cake designers. 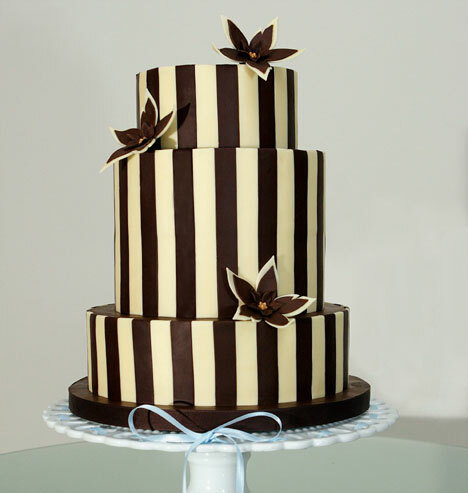 A large percentage of the current cake designers in Toronto have studied with Bonnie at her unique culinary design school. The school focuses on teaching artisan skills at the highest level possible while encouraging the development of individual style. It currently represents 5 talented Toronto area designers including Kathy Dvorski. Bonnie still finds time to craft a few works each for select clients, a privilege indeed if you happen to be one of them. 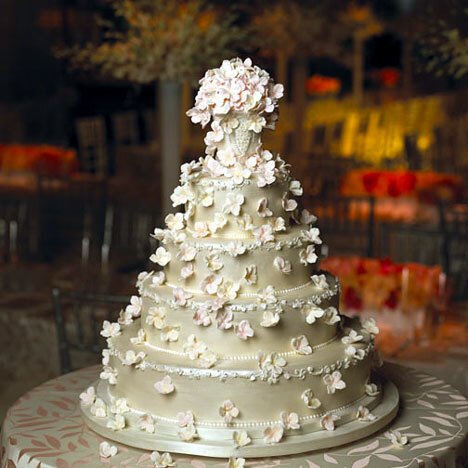 "A wedding cake should taste as good as it looks" says Samantha Lee of Flour Fancies Inc. A former IT professional, Samantha quickly discovered that her true calling was in creating edible wedding art. 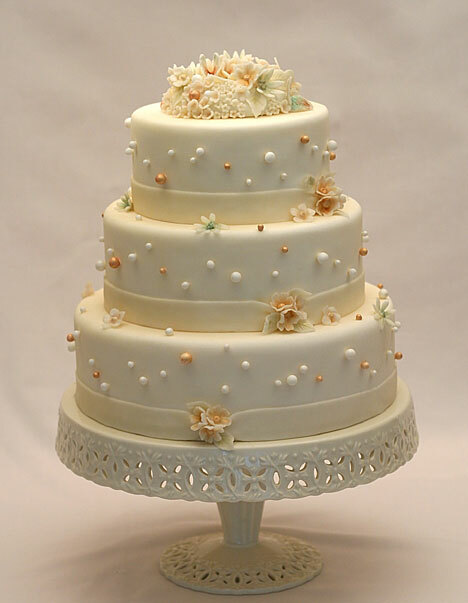 Samantha's wedding cakes range from classic to contemporary, elegant to trendy and come in a delectable range of flavours. 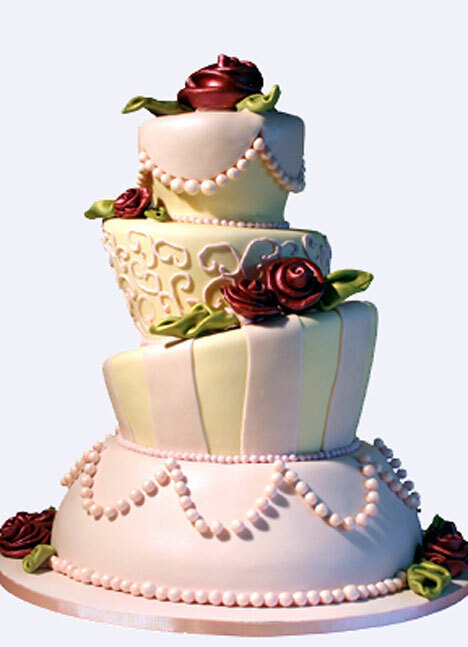 She guarantees that all cakes are made to your specifications and incorporate your personal style and taste. 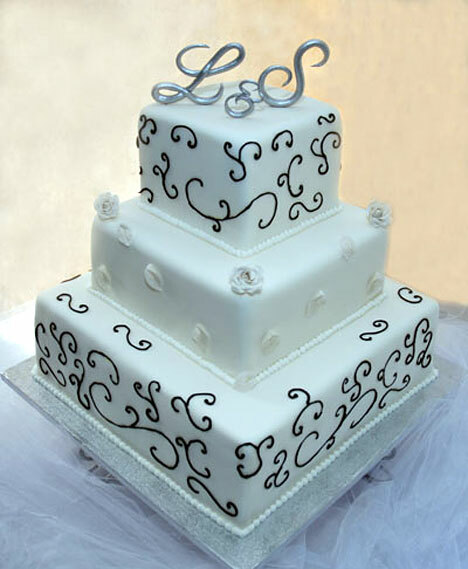 Flour Fancies Inc. provides a friendly and personal service from concept to cutting. Private consultations and individual designs are encouraged so that your happy day has a unique culinary touch. Samantha's custom cookies are perhaps the most praiseworthy of Flour Fancies Inc.'s creations, having being featured in several bridal magazines. But it's the personal relationship that really sets Flour Fancies Inc. apart. Just a short drive from Toronto proper, Kathy Dvorski Cakes is a treasure of versatility. 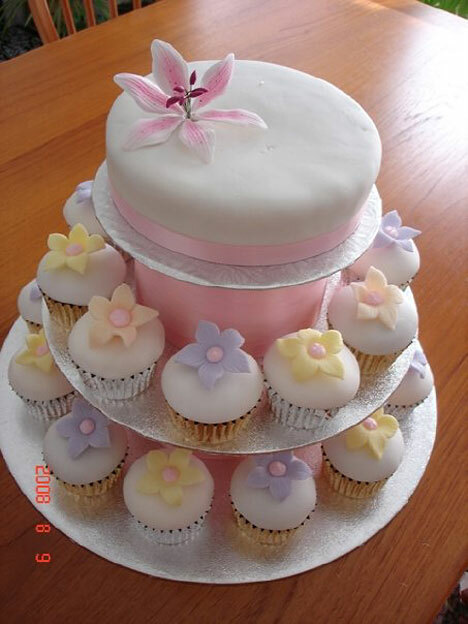 Kathy crafts everything from wedding favours to mini cakes, cupcakes and cookies. Encouraged by her children, she studied her craft at an array of culinary schools in Ontario while progressively building the reputation of her current Oakville location. Simply a perfectionist, Kathy strives to please each of her clients and their guests with beautiful, detailed desserts that leave them pondering whether to slice and dice or sit and admire a little longer. For a slightly different slant, check out the "Modern" and "Novelty" designs, while our personal favourite is the vibrant eye-catching "Whimsical" creation. 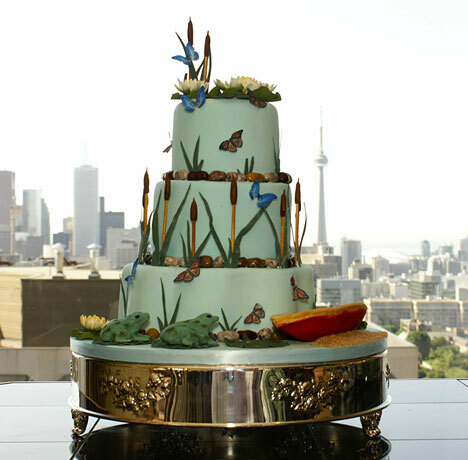 the full list of Toronto Wedding Cake companies. read through our Wedding Cake 101 series. (The articles are also listed below).